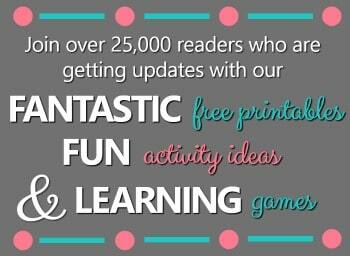 By Shaunna Evans 3 Comments · This content may contain affiliate links. Headband crafts can add silliness to your day, and they can also be used to support learning activities. In the past we’ve made spider headbands and monster headbands. 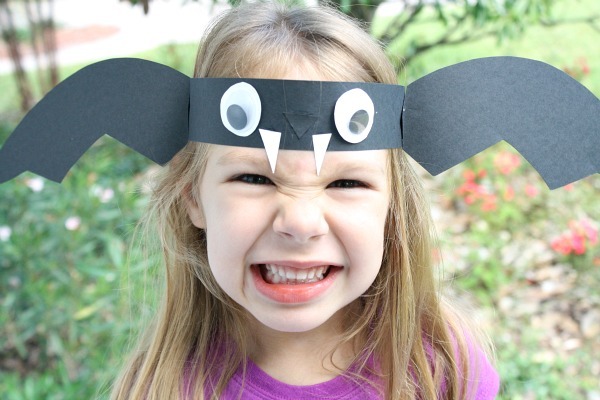 This year we decided to make bat headbands as a fun Halloween craft. Make them after you read some books about bats. Then wear your headbands to retell stories, act out new stories, sing songs, or just to be silly flying around like pretend bats! You’ll only need a few basic craft supplies to make your own bats. I used black card stock to cut two 1 1/2 inch wide strips of paper for the main headband. Then I cut basic wing shapes out of black card stock. 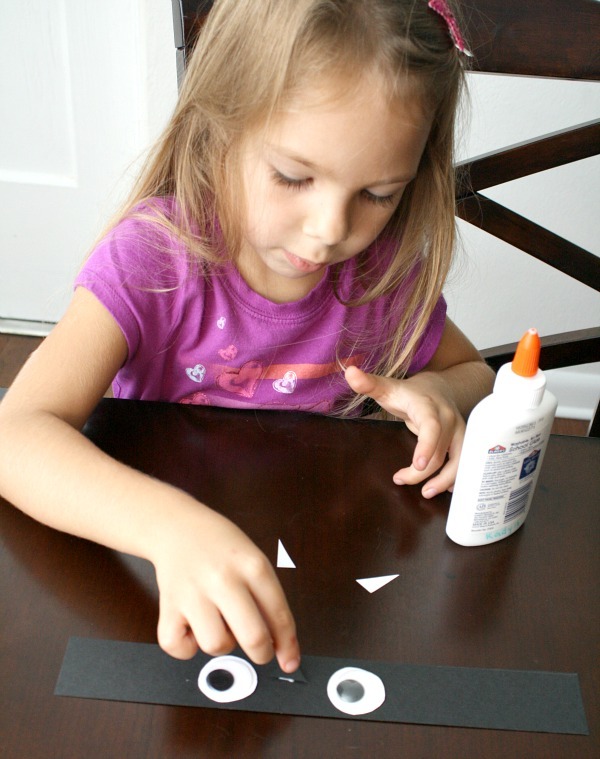 You can also make a tracer or have kids cut out their own wing shapes to add some fine motor practice to this activity and allow kids to personalize their own bats a bit. 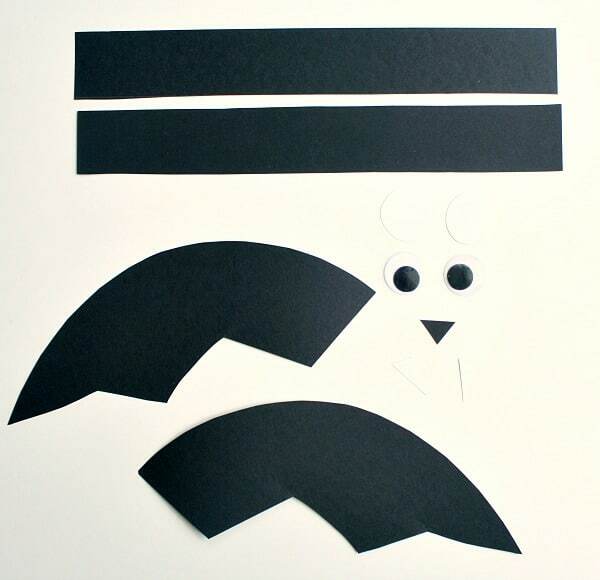 I also cut out two white circles, two white fangs, and one black nose. You’ll also need two large googly eyes, white school glue, and a stapler. First Tinker added the facial features to her bat. After it dried I stapled the two black strips together in a size that would fit her head. Then I folded the edges of the wings about a 1/2 inch and stapled them to the sides of the headband so that they would “flap” back and forth while she “flew” around the yard playing. Once your headbands are finished you can use them for all sorts of activities like I mentioned above. We started by going outside for some gross motor activities. First we practiced flying (also using the vocabulary words soaring and gliding) around for fun. Then we practiced flying quickly and slowly. We also practice flying in circles, zig zags, sideways and backwards. What other fun activities would you use your bat headbands for with kids? 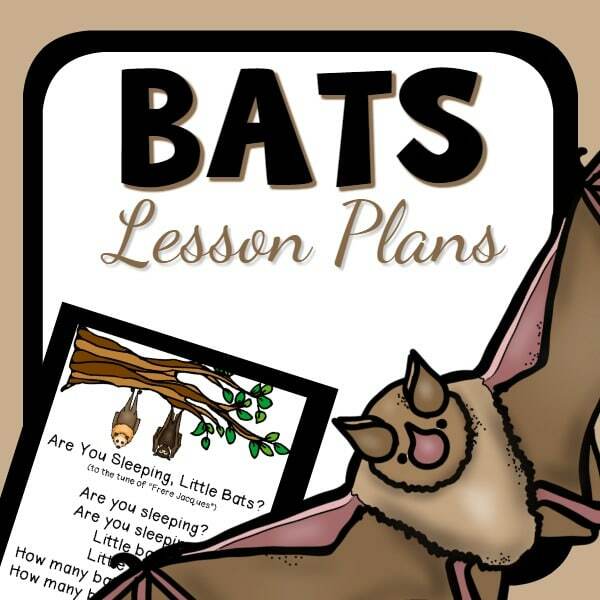 Continue learning about pumpkins with our printable lesson plan sets. 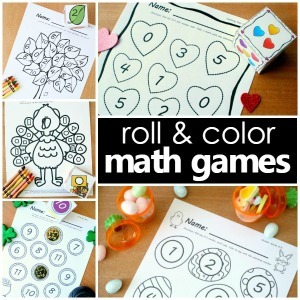 Each set includes over 30 playful learning activities related to the theme, and we’ve provide different versions for home preschool families and classroom teachers so all activities are geared directly toward your needs. Great craft! Looks so cute! Awesome! I hope he has as much fun as we did!